Once again, I would like to sing the praises of David Gemmell. This book, the tenth in his Drenai series, is possibly my favorite or at least tied with 2 others in the series,Waylander and Legend. The main character, Skilgannon, is a young priest and former general on the run from the Witch Queen. He is responsible for horrible atrocities in the past in the name of the Witch Queen, who was also his former lover. Druss, the main character in several other Drenai books also returns here. Skilgannon is searching for the Temple of the Resurrectionists and Druss is seeking his friend Orastes and they journey together along with some other minor characters and meet more on the way. It is an action packed thrill ride interspersed with lots of moral philosophy. There is some sorcery, powerful but with a light touch. Skilgannon is one of my favorite characters in fantasy and Gemmell builds him expertly, mixing his current thoughts and feelings about his situation with flashbacks to his past which helps us connect better with him. While I will never be a master swordsman or a deadly warrior and I have never committed atrocities on a large scale, I still empathize with him as a person who has many regrets and failings but is searching for a way to overcome them and become a better person. Druss of course is similar but has his own distinct nuances and characteristics. The world the Drenai books are set in are brutal and dark but not hopeless. There are a lot of races along with different beasts and many locations which have been explored in the past ten books. I really love exploring this world and while it is not the best world building in all of fantasy, it is very good. Gemmell writes succinctly yet he makes this world come alive to me. My favorite parts in Gemmell's writing are the little phrases or paragraphs which are woven in throughout and speak about different concepts like heroes, good and evil, the condition of man, love, revenge, hate, etc. Following are just a few of my favorites from White Wolf but all of his books include these little phrases. I quote these to give a sample of the themes which run through Gemmell's books. These ideas, as well as others, are all explored throughout the story. This type of philosophy is highly relatable to every reader as these are all things which people ask or wonder. There are many more good ones but it would be impossible to put them all here and that's a big part of why I love to read these books never knowing what he will touch on next. 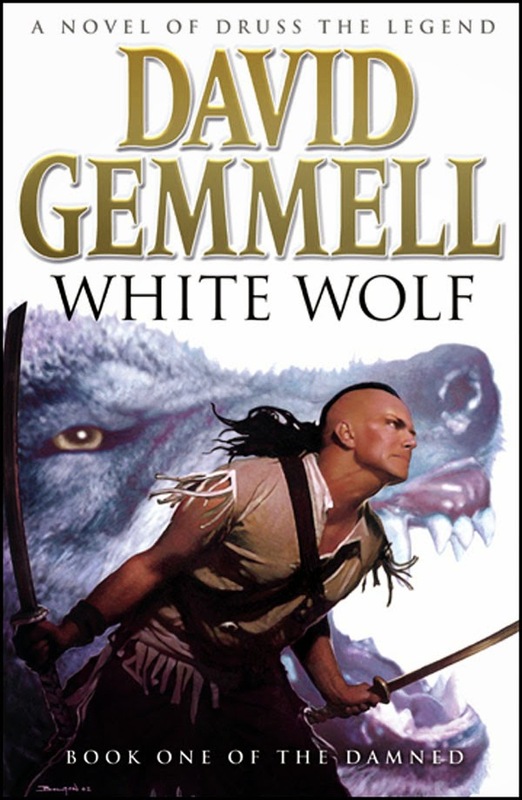 If you are looking for something great, check out this book and any other Gemmell books. If you like to think and enjoy realistic darker themed fantasy, this is a must read book. I check my used book store for Legend every time. They always have tons of Gemmell, but never the one I really want to read most. Waylander is really good also! I can't wait to reread Legend one day.